When you look around in Cambodia, there are very few old people. There’s a reason for that – just outside my lifetime, almost half of the population was wiped out by the Khmer Rouge. It’s a staggering fact. 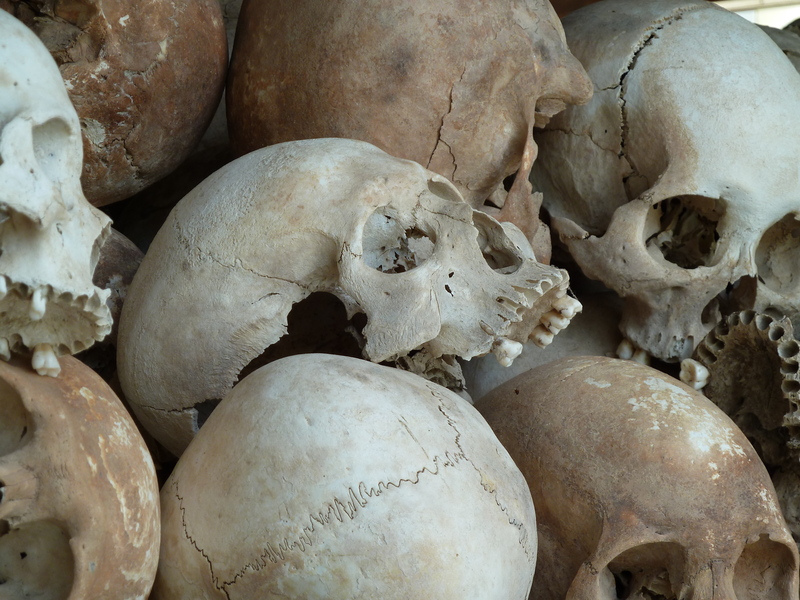 The population dropped from more than seven million people to three million people as communist Pol Pot and his army systematically murdered the middle classes in the mid 1970s. Anyone who was educated, who could possibly question him and his regime, was sent to one of hundreds of killing sites and buried in one of more than 10,000 mass graves. 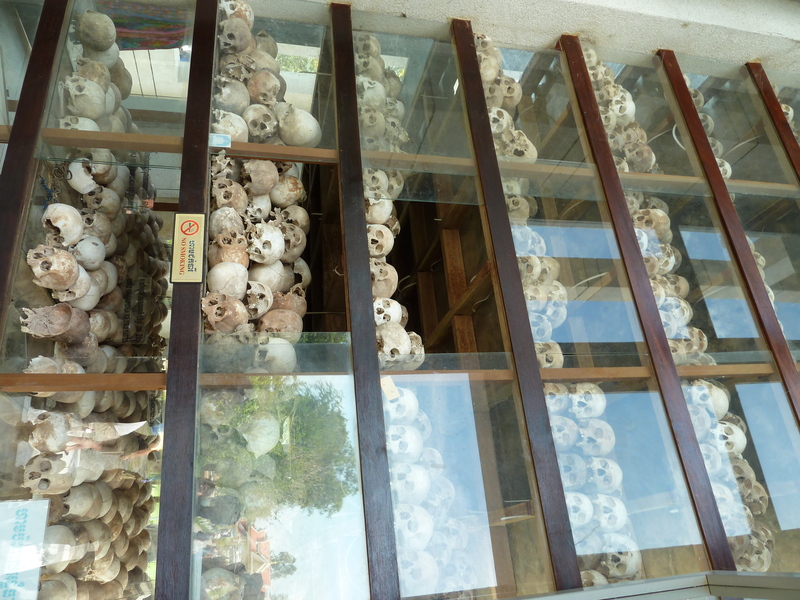 I knew a bit about what happened – I remember hearing about the Khmer Rouge and Pol Pot on the news as a kid, but I had no idea about the full scale of the genocide, how many people were killed, the reasons why or the brutality behind it. 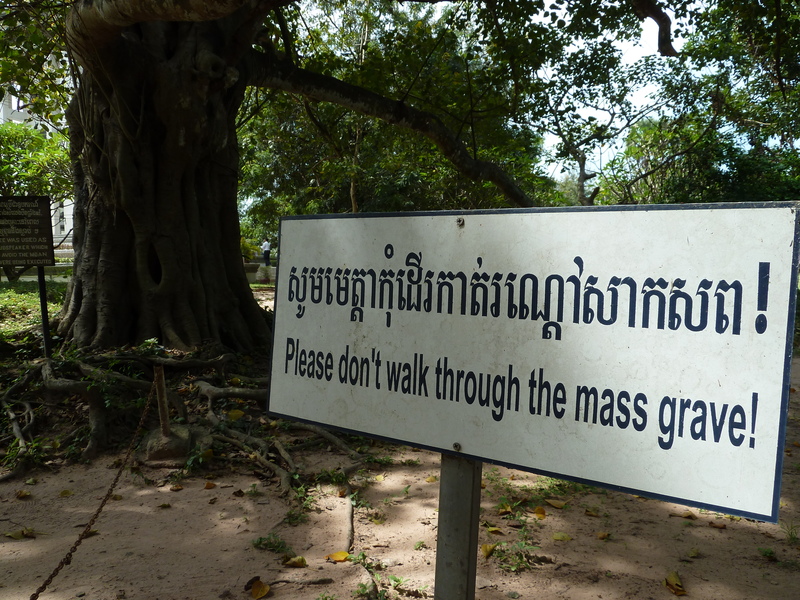 The visit to Cambodia’s killing fields, and the capital’s main prison, was harrowing. One of the reasons for travelling is to broaden the mind and to educate, and today that certainly was the case. I knew it wasn’t going to be a day by the seaside, but its hard to fully prepare for what you are about to learn about and see. Some of the tour group had decided to miss the visit having heard about how gruesome it can be – after all, the main memorial to those who died is a monument filled with the skulls of those whose bodies were found in the grave. For me, learning about atrocities and what happened in the past is important, nomatter how hard it can be to take in. I visited the D-Day beaches in Normandy last year, and struggled to take in the utter waste of life caused by war on the sand in front of me. I had a similar feeling in Cambodia, except these were not people who were fighting for a cause – they were completely innocent people, who shared a similar will to live a normal life like me, but yet were dragged from their homes and murdered for no reason other than they’d tried to give themselves a better life through education and work. Pol Pot’s regime aimed to bring a single class to Cambodia – city dwellers were sent or forced from their homes to work the fields in the countryside. Nobody was allowed more than just a few grains of rice a day. 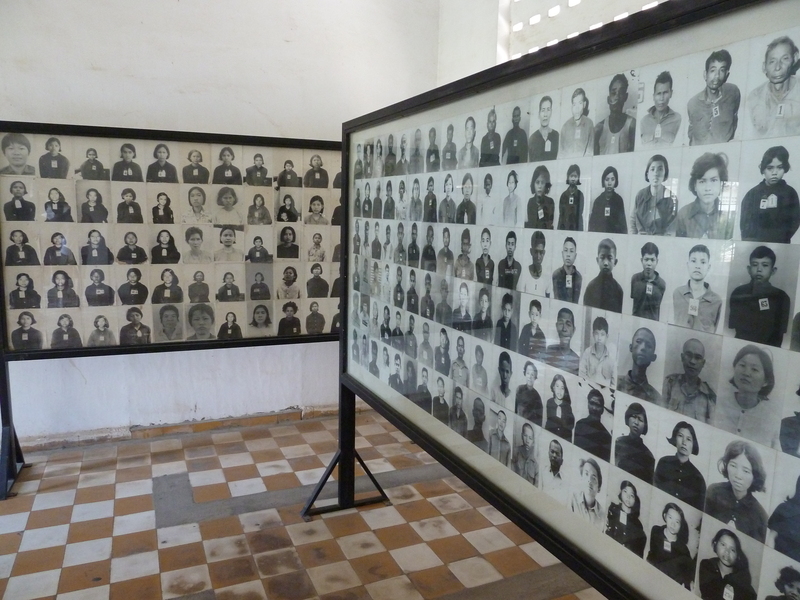 Khmer Rouge soldiers patrolled and killed anyone who breached rules. 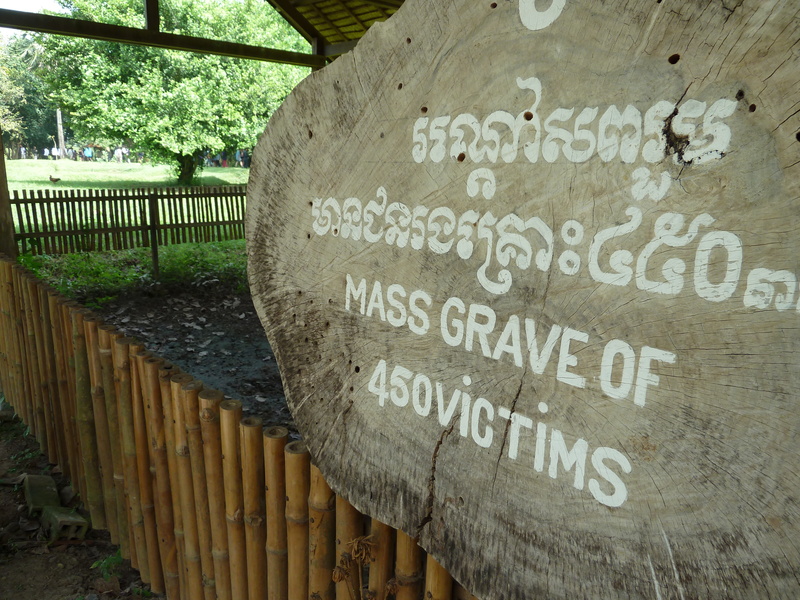 We travelled to Choeung Ek – one of the sites chillingly known as the Killing Fields – and our guide was a man who was born during the regime. His father and brother were killed by the Khmer Rouge, while his sister died of disease due to the poor conditions in the country. All the doctors had been killed as they were educated, and so healthcare was non-existent. 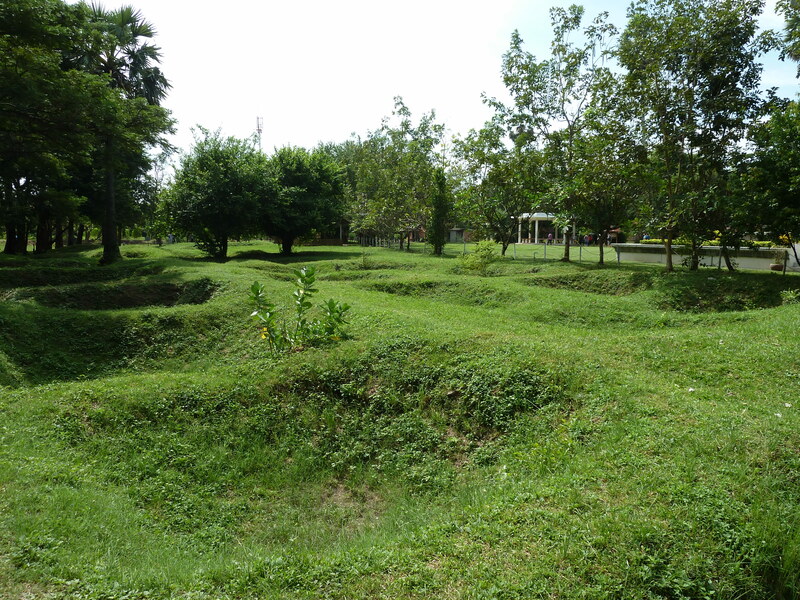 The site is one of the main memorials to the more than 1.7million people who were murdered – and its also one of the main mass grave sites. There are still hundreds of bodies buried beneath the soil, while thousands more have been exhumed. We stood by one of the largest graves where blindfolded prisoners were led to, tied around the necks with rope to prevent them running away, hands tied, before being told to kneel, bow their heads and sing along to patriotic Khmer Rouge propaganda songs blaring from loudspeakers. One by one, they were hit over the back of the head with axe handles or spades – to save ammunition – while razor sharp palm branches were used as spears and knives to ensure any signs of remaining life were snubbed out. It was truly barbaric. Our guide, despite doing this tour probably hundreds of times, took no pleasure from relaying to us what happened. Instead, he’s just glad that people will go and listen to him. The Cambodian government actively encourages tourists to visit the sites, learn about what happened and take photographs. It ensures the outside world is reminded of the atrocities committed here. “I warn you, you may find some bones or teeth on the ground, still coming up from below, but don’t worry, you don’t need to feel bad about walking over them,” our guide tells us. Many of the group had a tear in the eye. 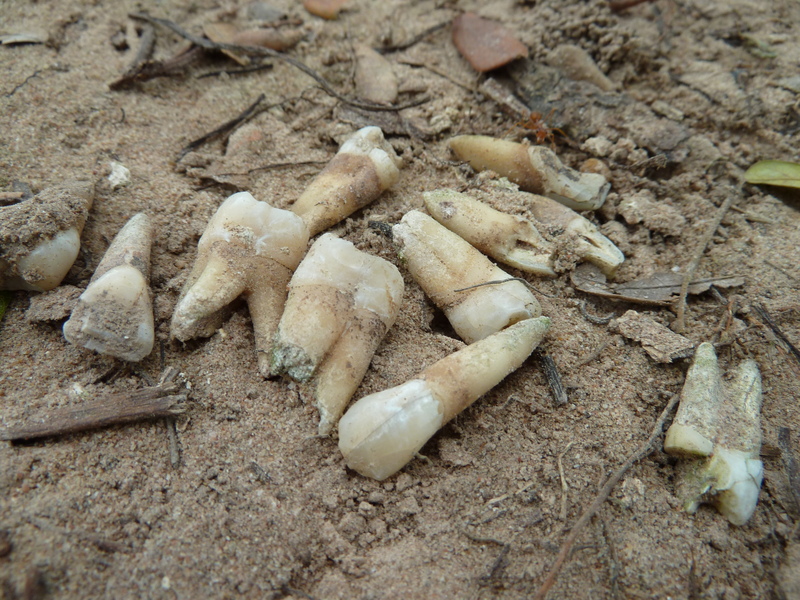 Sure enough, as you walk around the site, there are small piles of teeth and bone fragments, brought to the surface by heavy rains and flooding from the nearby river. The ground has hollows, dropping around three feet below the surface, where attempts have been made to recover bodies, but the simple fact is there are far too many here to fully recover them all. 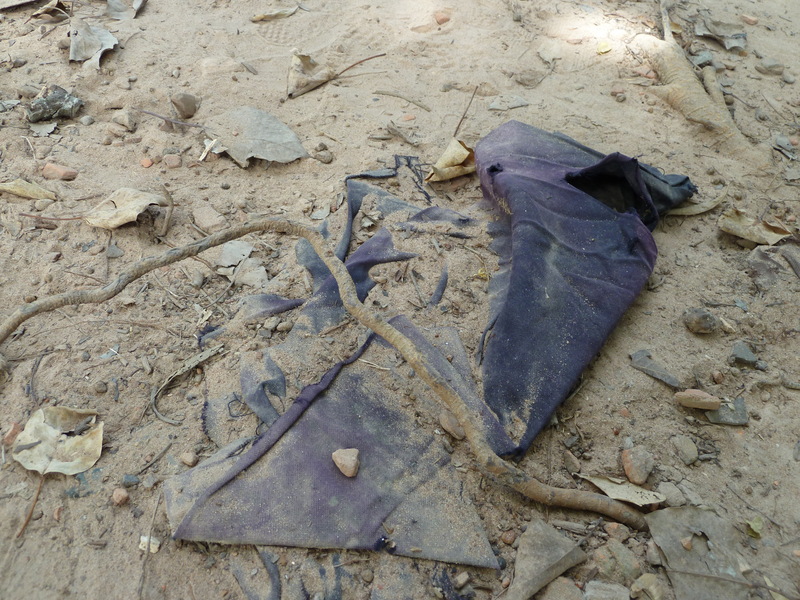 All around there is cloth and pieces of rag on the dusty surface. 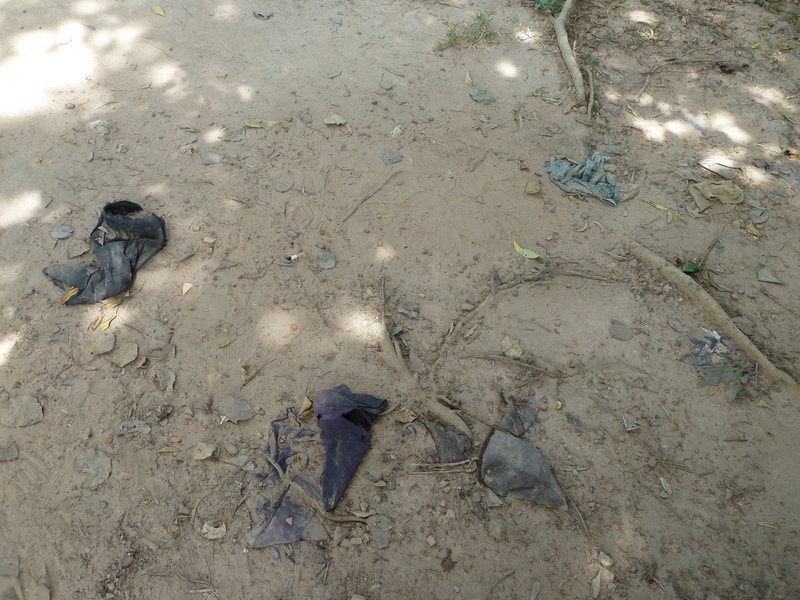 Its only when you look closer that you realise its not rubbish or old rags – they are victim’s clothes. 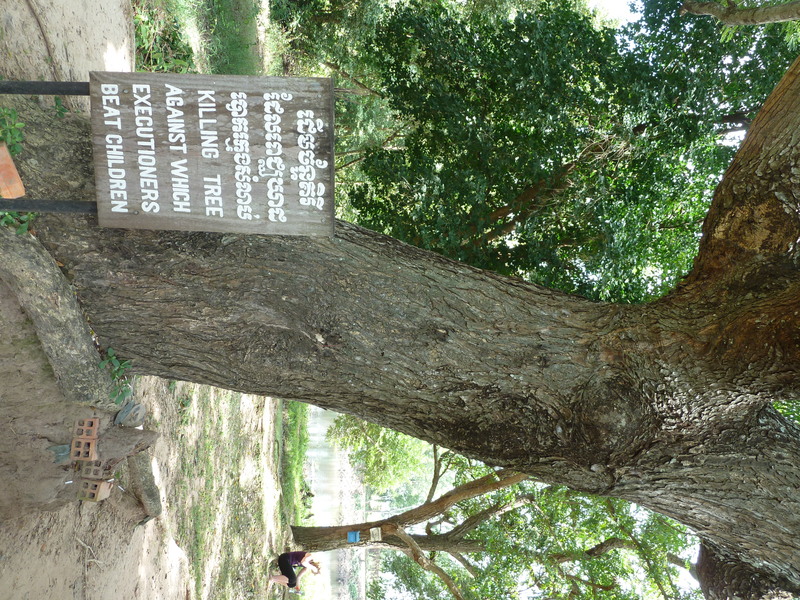 There was no escape from the Khmer Rouge – even babies were murdered, bludgeoned against a ‘killing tree’ that still stands next to their mothers’ mass grave. Their theory was it would prevent an uprising in late years when the angered children grow into adults and seek revenge for what happened to their parents. It was the sort of place where you need to spend some time, even to sit in silence for a while, just to take in and appreciate the depths humanity can sink to. The walk around the graves ends at the memorial Stupa, filled with some 8,000 skulls of those whose bodies were recovered. They are arranged into groups – young women, older women, older men, children. Its always hard to explain how you feel at moments like that, looking at the remains of so many innocent people. Like any other decent human being, I felt anger and sadness at such a loss of life. There was almost a sense of guilt – that somehow you wanted to apologise for what other fellow humans had done to those whose skulls stare hauntingly back at you. They are long since absent of eyes and features but yet somehow seem to be looking back at all of us who visit. I quietly paused and looked at some, trying to imagine what they may have looked like, the families they had, the jobs they did in this far flung land. “Take photos, its important that people know,” one man said. At just this one site, there are 129 communal graves. Only 86 of them have been exhumed, revealing the remains of 8,985 people who were exterminated here. Across Cambodia, almost two million people met their end at terrifying fields like this. It was hard to take in. Sadly, our guide seemed to be in a bit of a hurry, and I was soon wishing I’d made my own way to the site to take it in at my own pace. 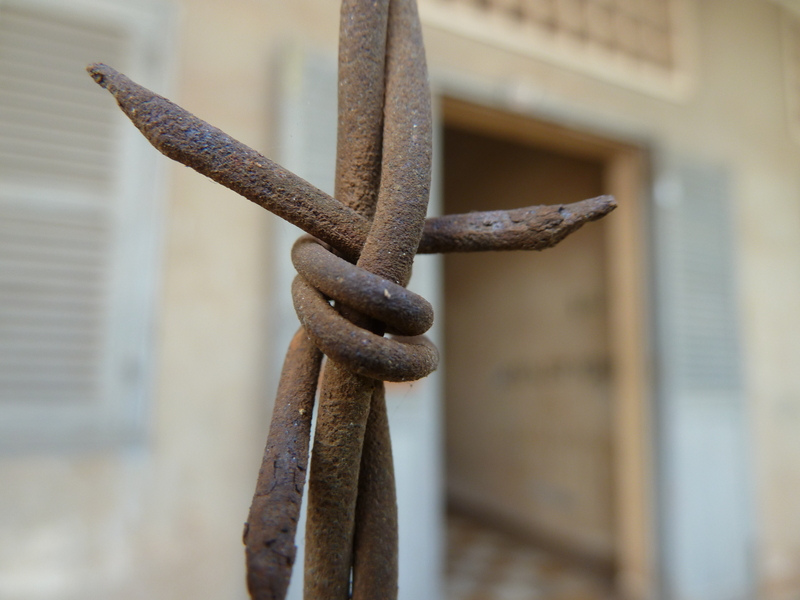 Instead, we headed to Tuol Sleng, the main prison in the capital Phnom Penh, where most prisoners were taken by the Khmer Rouge before being murdered nearby. 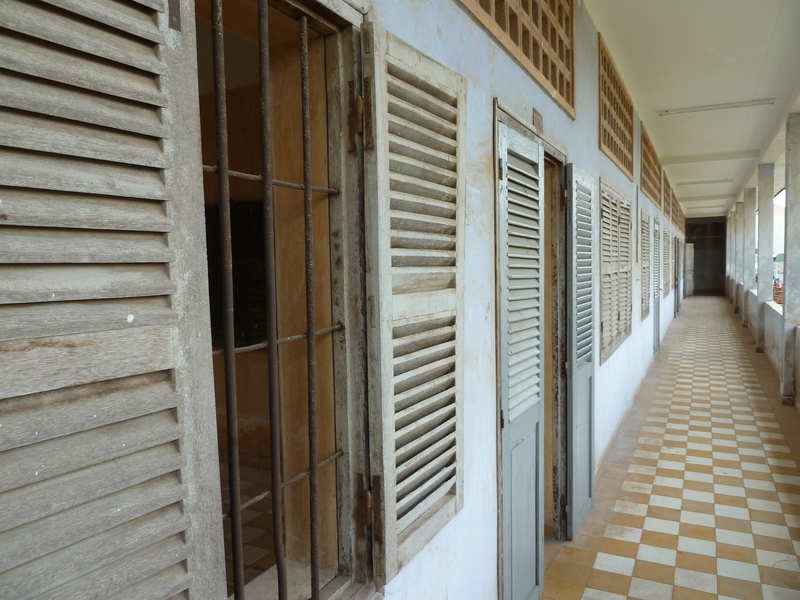 Until 1975, Tuol Svay Prey High School was filled with the sound of children and teachers. 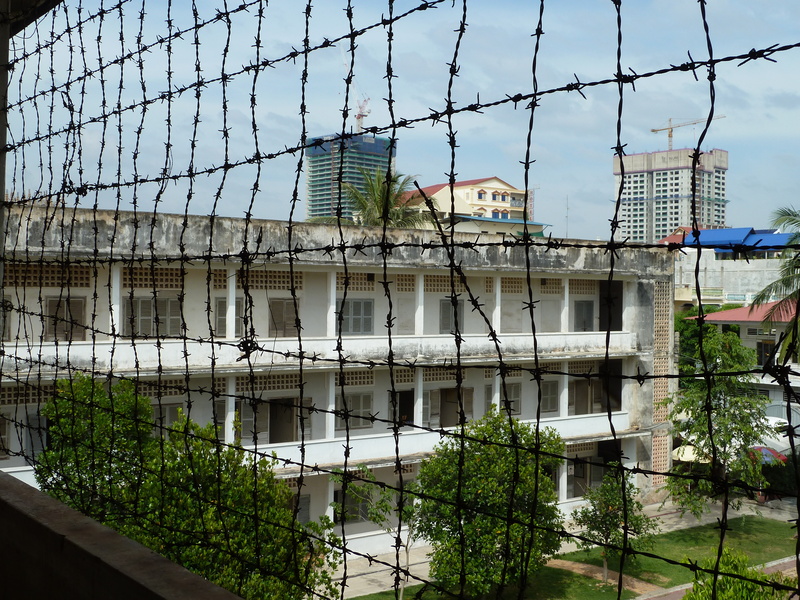 That was until Pol Pot’s henchmen turned it into Security Prison 21 (S21), the largest detention centre in the country. Between 1975 and 1978, more than 17,000 people were taken there and tortured before being sent to Choeung Ek. 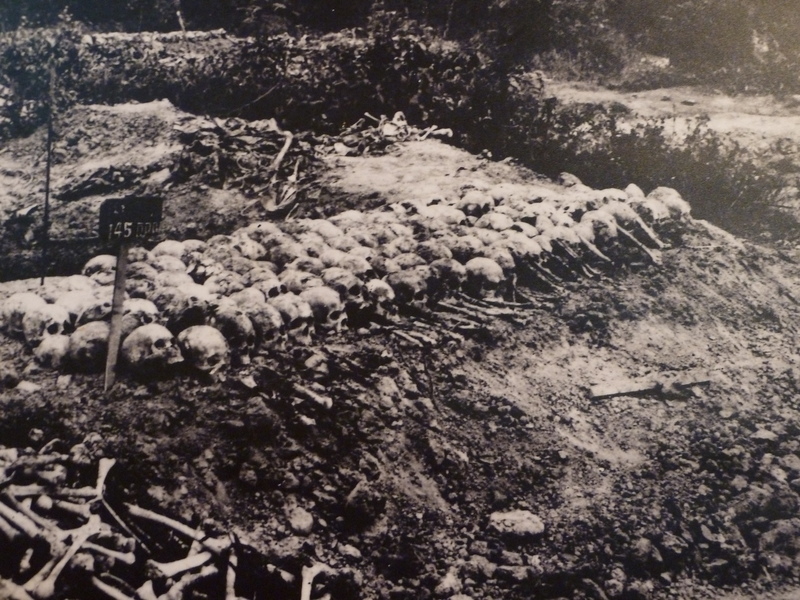 Those who died under their brutal treatment were buried in another mass grave at the site. 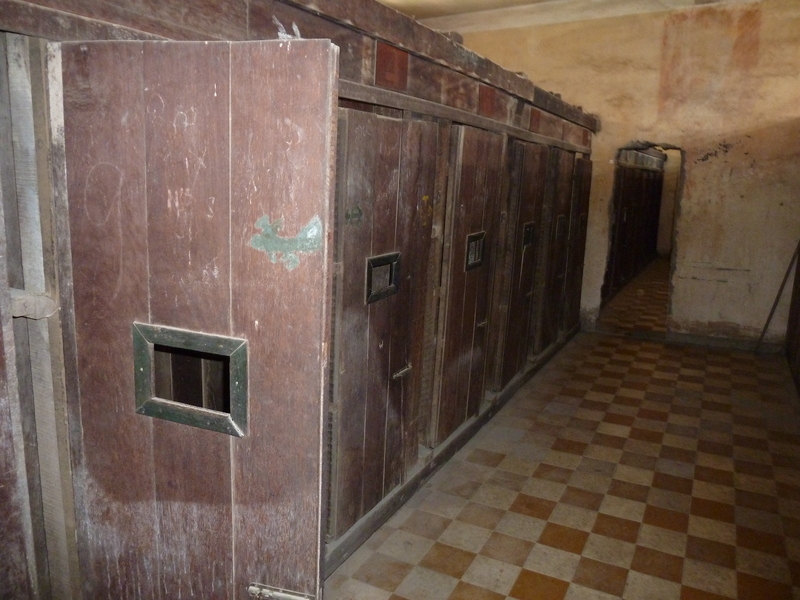 Every prisoner was photographed, and their images stare out from huge boards all around the site, in former classrooms that went on to see unimaginable horror. Many are photographed wearing a number – a tell-tale sign that they faced certain death within the next few hours. One of the main questions I had about the regime was how it was allowed to happen – why the Cambodian people went along with such a horrific regime. The simple reason is that most, out in the countryside, had very little knowledge of the death camps. After years of civil war, they believed the Khmer Rouge would bring stability and peace, even celebrating when they first gained control of the capital. 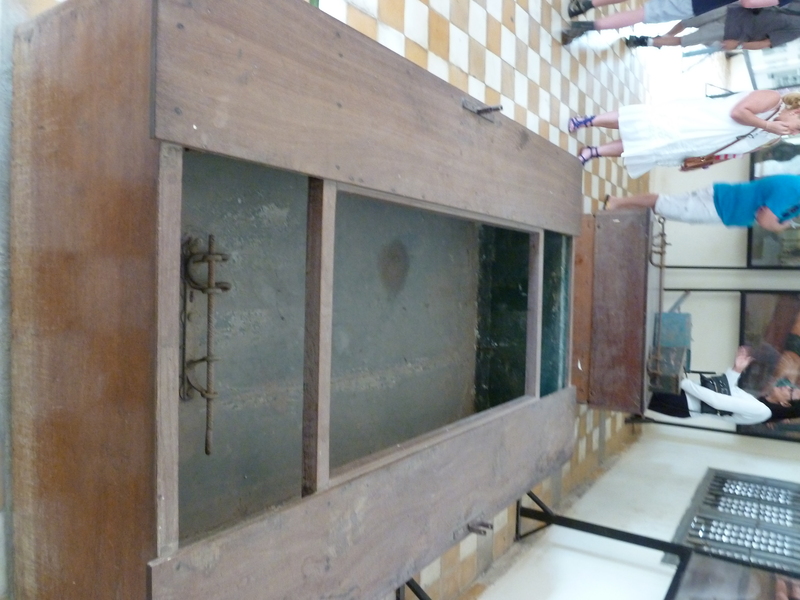 But it wasn’t long before many were sent for ‘re-education’, often duped into believing better jobs were on offer or that they had been headhunted by Khmer Rouge leaders because of their exceptional skills. Instead, they were being sent to prison, and ultimately, their deaths. 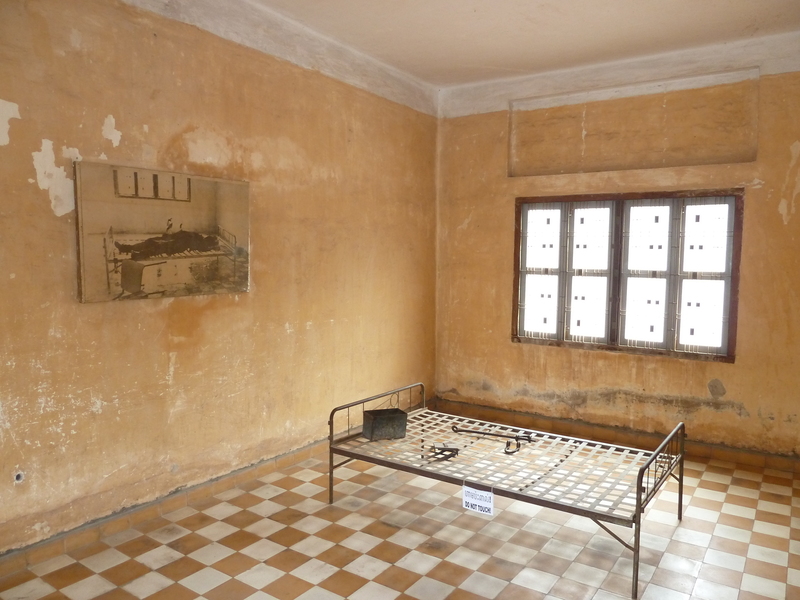 The prison’s torture cells were particularly grim, having been left almost exactly as they were when the Khmer Rouge fled – often killing the inmates before leaving. Blood stains could still be seen on floors and ceilings, around the bed that an inmate was once strapped to. Elsewhere, the tools and machines of torture, such as a water torture bath and shackles and chains, were still in rooms surrounded by depictions of what life was like. It was graphic, but it was also real life- something that happened just five years before I was born. With the Second World War, you visit sites and learn about what happened in the knowledge it was sixty or seventy years ago, and that history had supposedly learned lessons. Yet somehow, years after the Beatles had risen to fame and Concorde took to the sky, this horror took place. It wasn’t the first of its kind, and by no means the last, but it was worthwhile going to learn about it and gave me a fuller understanding of what happened and why. Only a handful of people made it out alive, among them Bou Meng, who managed to survive the prison until the Vietnamese liberated the area. 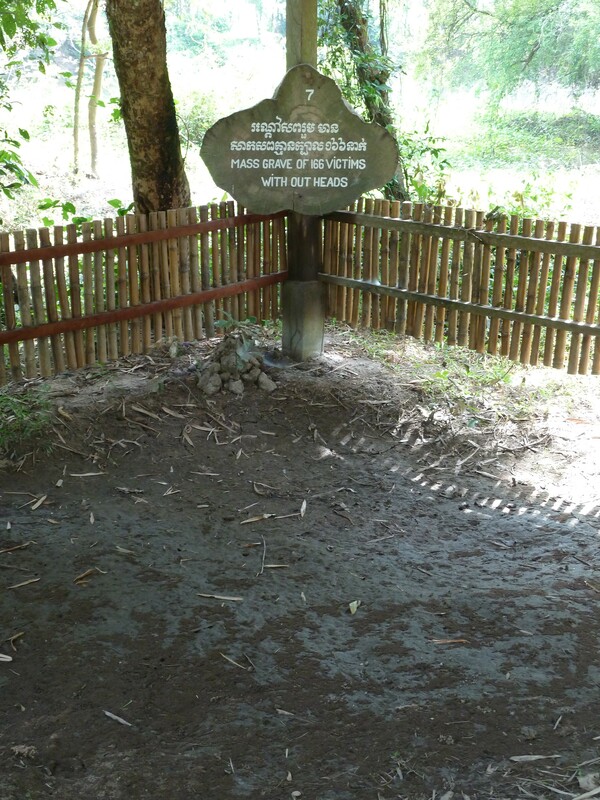 His wife was murdered in the nearby killing field after also being held at the prison. He was busy signing his book, which tells of his life before and after he was captured, under a canopy near the cell he was held in. Incredibly, he was spared because he was an artist, put to work by painting pictures of Khmer Rouge leaders. I bought a copy of his book, which he signed and dated, before gratefully shaking my hand and posing for a photo. He seemed a nice man, who had moved beyond a need for personal revenge by finding peace in educating others, in the hope similar atrocities can be avoided in the future. “I want everyone to hear my story and the misery of other victims of the genocide. 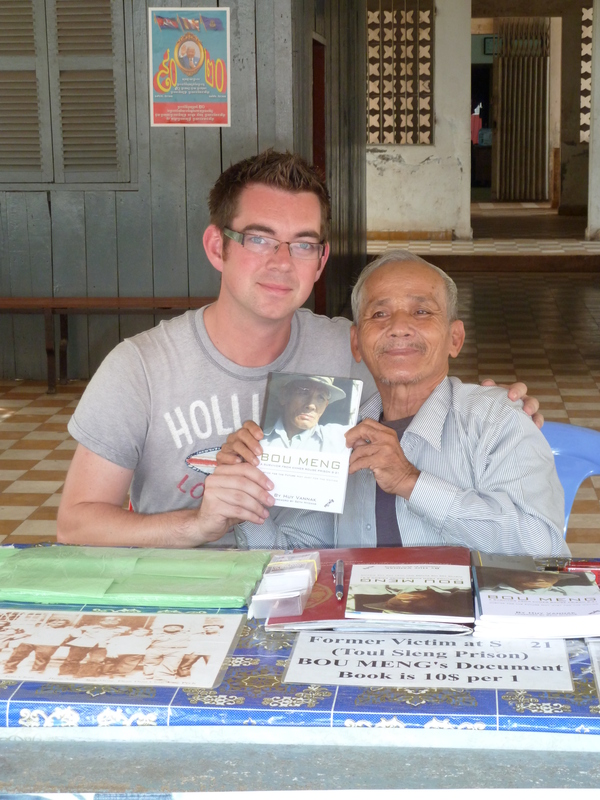 Demanding justice for the victims of the Khmer Rouge regime is always in my heart and soul. 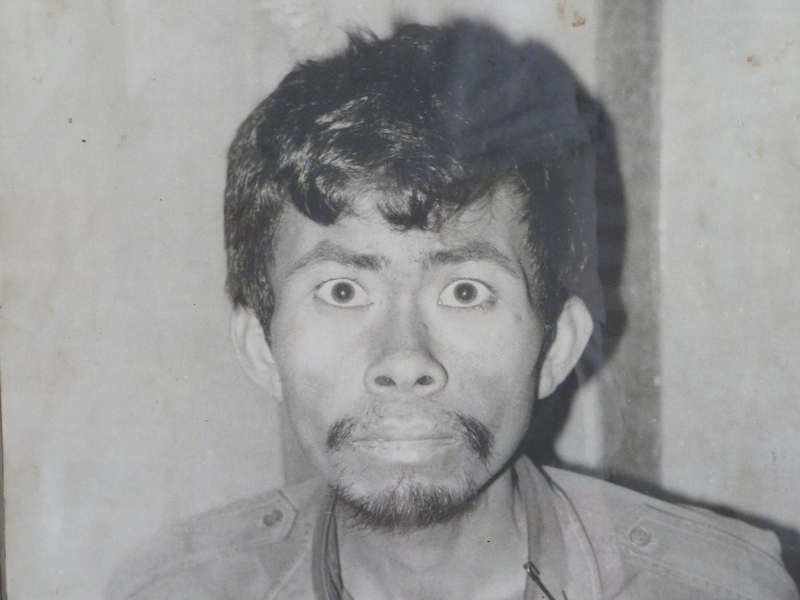 Bou Meng faced his tormentors by giving evidence at the Khmer Rouge Tribunal. Five top Khmer Rouge leaders are held for crimes against humanity. Their trials have just started. 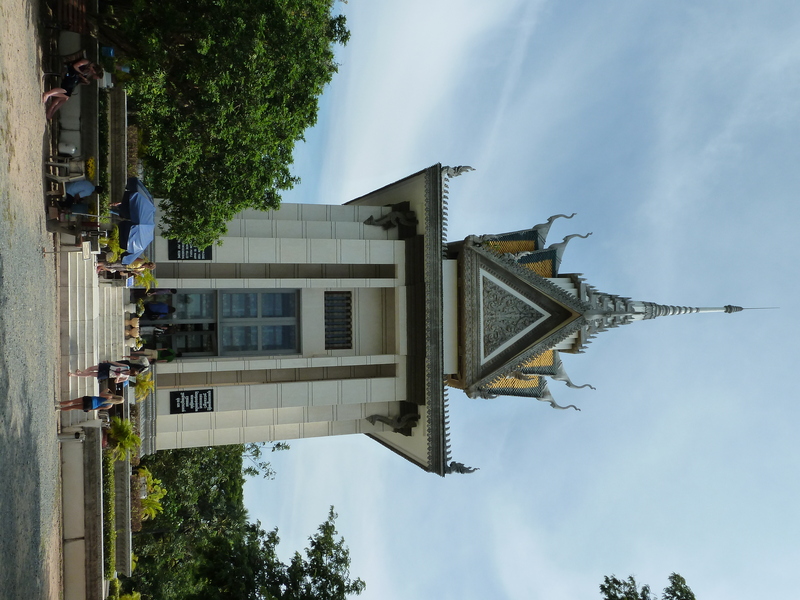 This entry was posted in Travel and tagged backpacking, cambodia, Choeung Ek, khmer rouge, killing fields, mass graves, phillip norton, phnom penh, pol pot, torture, Tuol Sleng by afishoutofgrimsby. Bookmark the permalink. What can one say? I’m on a train to London at the moment, looking at the scenery passing by, and thoughts turn to Dachau. There I could see how the well oiled Nazi killing machine operated. That was tame compared to what you describe. Do we ever learn? Last month, I spoke to Col Bob Stewart at the Conservative Party Conference in Manchester. He had just come back from Bosnia, filming a documentary about his time a NATO commander there. He went back to Ahmici, where he discovered a massacre had taken place.It seems as if these massacres continue unabated throughout the world, and man’s ability to be inhumane seems inexhaustible. If there a way of purchasing Bou Meng’s book online? I would like to read it.